If your business is keen to develop an employer branding strategy which will ensure that talented individuals will be attracted to apply for an available position in your business, simply continue reading to discover everything you need to know to create effective employer branding strategies. 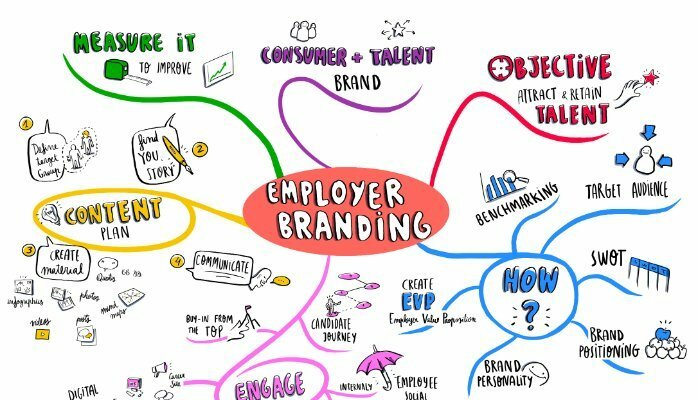 What is an employer branding strategy? An employer branding strategy is a carefully compiled plan which is put in place to both attract and retain high performing, highly qualified individuals. Just as it’s important to market your products and services to your business’ target audience, it’s also critical to effectively market your business as a great place to work to potential employees as well as your current employees. How can you convince individuals that your business is a great company to work for? From the minute a potential new employee walks into a job interview with your company, they should be well informed about your business’ key values. Also make sure that the same key values are disseminated across all the departments and applied in the day to day operations, so that employees are clear about your business’ values. As an example, your business may value giving its employees training opportunities or support healthy lifestyles and may provide employees with free healthy food or gym memberships. Just be sure to walk your talk and not to talk about your business’ key values without being able to backup your promises. As no individual wants to work for a company which they see as dishonest. One easy way to ensure that your business is a great workplace, is to survey individuals from all departments to make your employees feel that they are heard. By surveying the benefits which your employees would like and the type of environment which they’d like to work in, you’ll be able to make changes to your business, to build a positive reputation for being an upstanding, exciting business to work for. Aside from surveying your employees on a regular basis, it is also important to review your employer value proposition and present it to them . As an example, you may decide to conduct a meeting annually or once every few months. This is important to make your employees updated of any changes and make sure that you still have the same goals to pursue as a team. It’s well worth using your business’ internal intranet in order to promote some of your business’ HR values. By making an effort to communicate your business’ values with your employees you’ll be able to show your employees just how much you care about them. So if you’re looking to retain your high performing employees and to attract new individuals to work for your business, it’s well worth to seriously follow the advice listed above!